Another Senator Dies! What Or Who Is Killing Our Lawmakers? 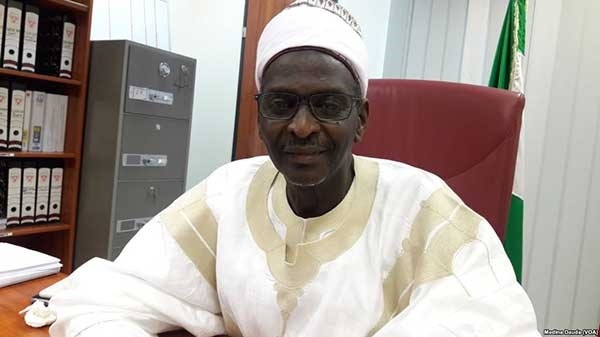 Senator Mustapha Bukar, who represents Katsina North (Daura Zone) in the Senate, died on Wednesday morning after a brief illness. Is there an alien sent from space to wipe out the Nigerian parliament? Things are becoming scarier every other week. Just about five days after the House of Reps saw the shocking death of Umar Buba Jibril, one of its members representing Lokoja/Kogi/Koton Karfe, the Senate has lost a senior lawmaker, Mustapha Bukar. Kanta Bukar, the younger brother of the deceased, confirmed the death and said Mr Bukar died at the Nizamiyya hospital, Abuja. READ: Goodnight Jibril, But What Is Killing Our Lawmakers? Nigerian lawmakers are no longer at ease right now and even the Speaker of the House of Reps, Yakubu Dogara could not hide his worry at the burial of Jibril in Lokoja on Friday. “I don’t think it has happened before; not to my recollection. We have lost about three senators and five members of the House of Representatives in the past few weeks,” he said. Recall that on March 17, a senator representing Bauchi South, Ali Wakili, also died at 58 after a brief illness. The death of the Katsina senator now makes longer, the list of parliamentarians that have died in 2018. Why is Nigeria experiencing the loss of many lawmakers at the same time? What is killing our lawmakers? These remain the questions on the minds of many Nigerians.